Caravan reversing cameras aren’t fitted to many tourers as standard. Swift must be one of the only caravan manufacturers to standard fit them – last year fitting to their Elegance and Continental ranges and this year providing on their 2018 Conqueror models. Yet having a reversing aid on your caravan can give you a discount on your caravan insurance, as each year we deal with numerous claims for knocks and scrapes as a result of a reversing accident. There are a number of aftermarket caravan reversing cameras you could consider fitting to make reversing onto your pitch or into your storage location a doddle. The alternative may of course be to unhitch and use a motor mover to complete tricky manoeuvres. But don’t forget that some cameras will not only help you when reversing, they can also be used to give you a fantastic rear view when towing on the road. Last month we asked owners if they had a caravan reversing camera or sensors fitted to their tourer. 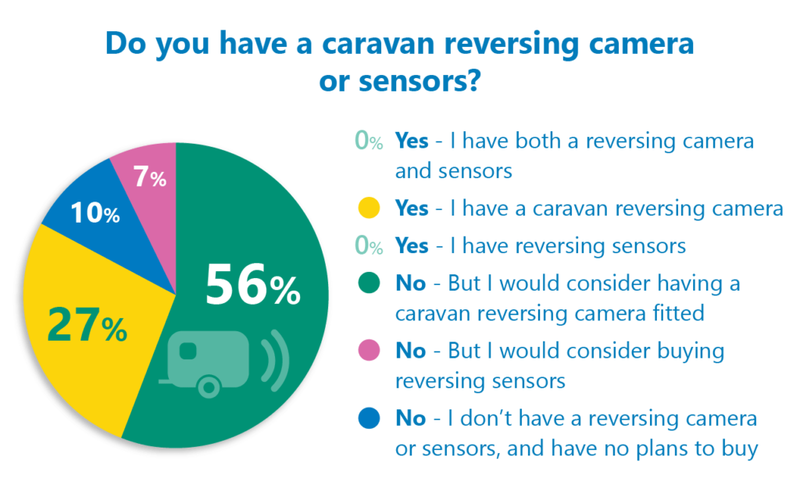 Just over a quarter of our voters had a caravan reversing camera but more than half said they would consider having one fitted. Only seven per cent of voters said they would consider buying parking sensors as an alternative to a rear view camera for their caravan. But nobody voted to say they had reversing sensors or that they had both sensors and a reversing camera – and 10 per cent of voters said they had no plans to buy either of these reversing aids. Overall, we think the results show there is sufficient demand for reversing cameras to be fitted to caravans – perhaps more caravan manufacturers will follow Swift’s lead here. Some voters who have some kind of caravan reversing kit explained how useful it was parking or pitching up and in some cases when overtaking. Tony Fletcher’s rear view camera is wired into a 7″ screen that he also uses as a rear view mirror. “It’s deal for pulling back in when overtaking. 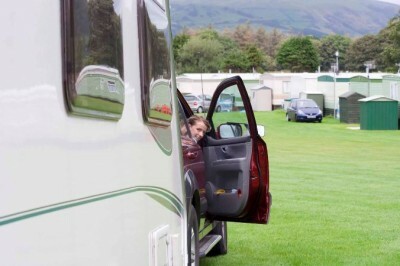 I can see ever thing at the rear of the caravan all the time – a lot better than just with the door mirrors,” he said. Ken Owen finds his rear view camera excellent for both towing and reversing onto pitch and David Rogers says he would be without one. There were some complaints about picture quality of caravan reversing cameras and one voter told us how his alternative to a reversing aid was a set of walkie talkies, with his wife guiding him through his backwards manoeuvres. For our gear guide on caravan reversing systems click here and why not check out our tips for reversing your tourer like a pro. Let us know what you make of the results by commenting in the box below.